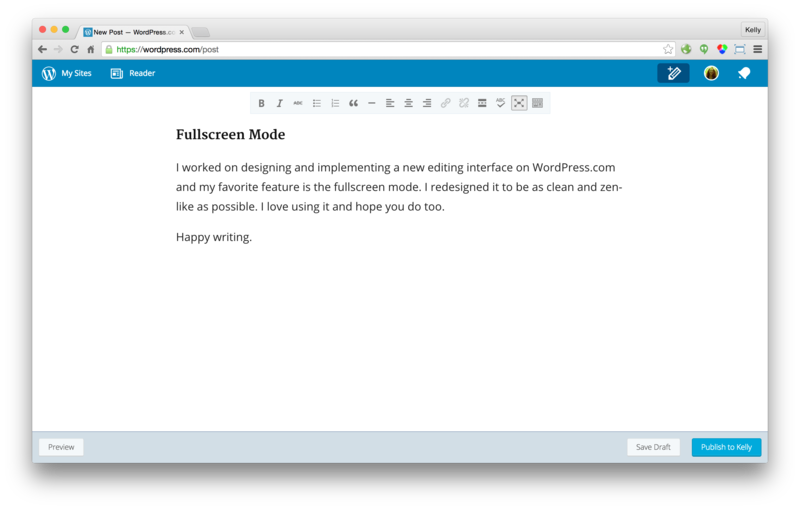 I worked on designing and implementing a new editing interface on WordPress.com and my favorite feature is the fullscreen mode. I redesigned it to be as clean and zen-like as possible. I love using it and hope you do too.